Description: White male, 5’10”, 150 pounds, blonde hair and blue eyes. 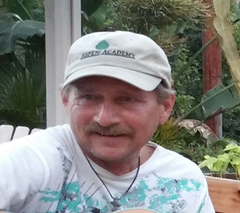 He was last seen wearing blue jeans and a blue/grey flannel shirt. Location: 614 W. Park Lane, Santa Ana, CA. Synopsis: Crocker was last seen on 12-29-17 at 1200 hours when he left to buy cigarettes and never returned. Crocker is from Colorado and recently came to stay with his friend in Santa Ana. He is an alcoholic and is known to have seizures.